To learn yoga in India, there are several choices like weekly Yoga retreats or standard yoga teacher training certification, and several intensive residential courses to choose from. India is the land of yoga and place where the yogic philosophy was born and brought up. The teaching and practice of yoga is taking place in India over the ages. The ambience Rishikesh in India makes it ideal to learn this sacred knowledge from authentic masters who practice and live with yoga. In addition to this, Yoga teacher training courses at shivayogapeeth rishikesh are registered under the Yoga Alliance International. 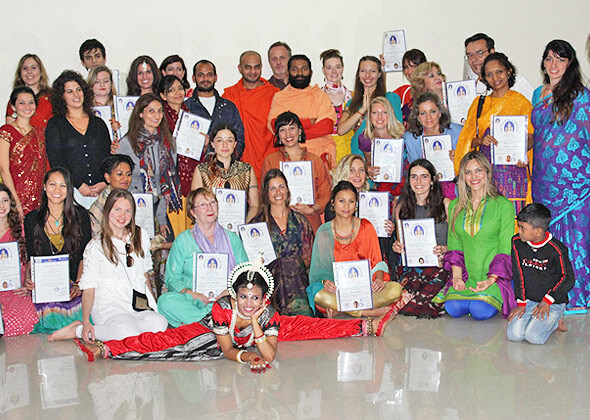 India being hearth centre to yoga schools and ashrams, all courses offered with shivayogapeeth rishikesh are well elaborated, well structured with its modules connected with the historical and ethical significance. Since India is blessed with the yogic masters who got this sacred knowledge by the masters of previous generations and ages. So it is easy for the Indian yoga masters to explain the theoretical concepts and practices by relating to the ancient practices and other cultural and spiritual benefits. Next to Ganga river in tapovan laxman jhula rishikesh A proper ambience makes the learning natural without much effort. Local transportation is also cheaper when compared with the other foreign countries. Learning yoga in human life is considered sacred. Regular practicing of yoga makes the life sacred. Teaching yoga is yet more than all this because by becoming a Master in yoga, you are part of the yogic community, the ancient philosophic and spiritual path. Borrowing the ancient yogic tradition, Shiva Yoga Peeth is a center of excellence in India, for the promotion and spreading of spirituality and yogic philosophy across the world. The activities of the institute are spread across the globe and thousands of people have experienced the benefits out of it. People who are associated with the organization are persistently doing active research work for empowerment of Yoga and allied science. 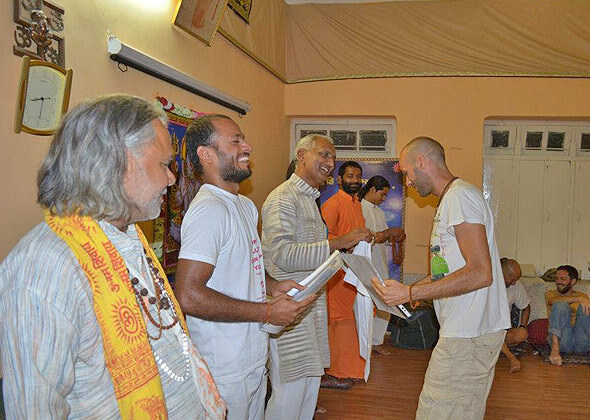 The institute offers several courses all the styles of yogic philosophy. During our Yoga Teacher Training, the students are given clean rooms, bedding and attached western style toilets with hot & cold water. Evaluation of the students and their progress is done by assessing the physical and intellectual capability of each student along with their standard of living. This way, it is ensure that students are fully devoted to follow and obey all guidelines and disciplines of the yogic path. Rishikesh, the city in the northern part of India, is widely known as the land of Spirituality and Yoga. The city is situated in Uttarakhand, one of the northern states in India, encircled by Himalayan hills and intersected by the wide and holy river Ganges. Rishikesh, “a divine city on the earth” is claimed as the yoga capital of the globe. One of the major reasons is that people from all over the world reach this destination seeking spiritual ambience and mental peace. This place is full of spiritual Ashrams, Yog shalaas, temples and many enchanting places. Shivayogapeeth ( A Registered Yoga School ), offers Yoga Alliance International certified 200 – 300 – 500 Hours Hatha and Ashtanga yoga teacher Training at certification course Dharamsala India. One of the other centers of this institute is located in Dharamsala, Himachal Pradesh, India. The exact place is called as the Mcleodganj, the upper Dharamsala. The place of yoga is peaceful and away from the traffic sounds and usual city crowd. McLeodfanj or Upper Dharamsala at nearly 1,800 metres, is nestled in the foothills of the Dhauladhars which rise to 4546 mts. There are places to experience Tibetan culture, still followed by His Holiness Dalai Lama. McLeod Ganj is nine kilometers by bus and four kilometers by taxi route up the hill from Lower Dharamsala.